Prominent Police Officer Lt. Col. Jovie Espenido made a piece of unsolicited advice to all the narco-politicians to withdraw their candidacy because they were identified as narco-politicians. According to Lt. Col. Jovie Espenido he believes that the narco-list politicians mentioned by Pres. Rody Duterte was already validated and went to proper verifications. The statement of Espenido was made after some reports that those who were included in the narco-list politicians were also included in the blue book identified as people who were involved in the illegal drug trades according to the revelations of Albuera, Leyte Mayor Rolando Espinosa, the controversial drug lord from Eastern Visayas. 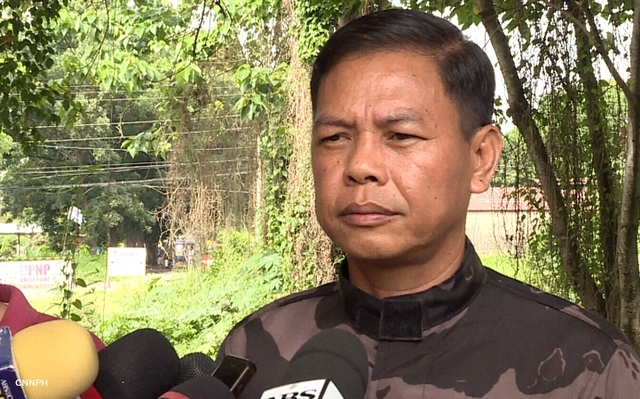 During an interview with Bombo Radyo Tacloban, Lt. Col. Jovie Espenido believes that there is no politics involved in the revelations of the narco-politicians by no less than Pres. Rody Duterte. Espenido reiterated further that he believes the lists underwent with the proper procedures and thorough validation because it came from the chief executive who revealed the controversial list. The controversial Cop also called out the attention of all the officials who are now running for public office and included in the narco-list released by Pres. Duterte to withdraw their candidacy in the 2019 midterm elections. "Ingun sa PDEA nga that is validated wa nay mahimo, Validated na, gisulti na atong presidente kuan nalang.. kung naa ka sa posisyon resign kung naa ka sa kandidato withdraw na lang," ani Lt. Col. Espenido.